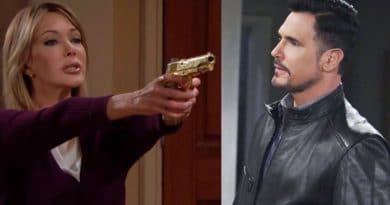 Bold and the Beautiful spoilers say Ridge Forrester gives Taylor Hayes a free pass to meddle and make their kids happy. ‘Bold and the Beautiful’ Spoilers: Steffy and Hope Break Both Their Mothers’ Hearts? Bold and the Beautiful spoilers for the next two weeks divulge that Taylor Hayes and Brooke Logan’s fight escalates as they use their kids. ‘Bold and the Beautiful Spoilers: Taylor Uses Steffy as Weapon in Brooke Battle? Bold and the Beautiful spoilers for the week of March 18 says it’s rough for Taylor Hayes and Ridge Forrester while Brooke Logan fumes at the two after she spots them smooching. Bold and the Beautiful spoilers reveal that Taylor Hayes wants Steffy Forrester to fight for her family and take back Liam Spencer since Hope Logan offered to hand over her husband. ‘Bold and the Beautiful’ Spoilers: Taylor a Villain or Hero When Hope Gets Baby Back? Bold and the Beautiful spoilers suggest Taylor Hayes faces tough times when Hope Logan gets her baby back as she shoulders some of the blame. ‘Bold and the Beautiful’ Spoilers: Reese Sickened by His Adoption Plan – Does It Anyway! Bold and the Beautiful spoilers suggest Reese Buckingham (Wayne Brady) tangles Taylor Hayes (Hunter Tylo) in his baby Beth adoption scheme. 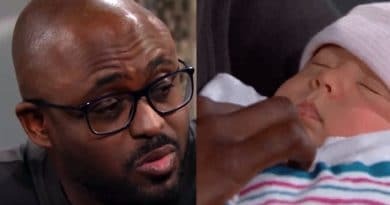 Bold and the Beautiful spoilers indicate the “death” of Hope Logan’s baby might give Taylor Hayes the chance to redeem herself.